ID badges are necessary in a wide range of facilities, from education buildings to prisons to healthcare facilities. Wherever security is a concern, ID badges offer a convenient means of identification to monitor and keep track of people as they come into and leave a facility. The type of ID badge that is required will depend on the needs of the specific facility, but in most cases the ability to print badges onsite efficiently is of paramount importance in order to streamline processing. Choosing the right ID badge printer can be a daunting process, but making the right investment will pay off in the long run. Investing in an ID badge printer may be a smart move, but which should you choose? 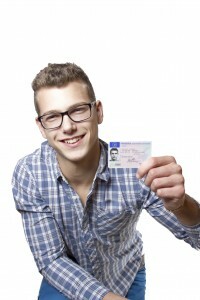 Universities, learning centers, and other educational facilities can benefit from ID badges for the security and protection of their students and employees. However, these facilities often have needs that go beyond just ID badges and can benefit from printers that are also capable of producing library cards, IDs for volunteers and events, and payment and access cards. Before choosing a printer, be sure to determine all of your printing needs to ensure that the printer you choose will be able to handle all necessary jobs. One important factor to bear in mind when choosing an ID badge printer is the volume you require. If you have a high-volume facility that will require a large amount of daily printing then you will need to invest in an ID badge printer that is able to handle the capacity needed. Another consideration is whether you require a printer that can create 2-sided badges. Single-sided printers are generally suitable for creating simple visual badges, whereas 2-sided badges are needed when more information must be printed on each badge. Finally, be sure to consider the security needs of your badges. Do you require ID cards that can store information on an embedded chip or magnetic strip (such as those for access control), or do you simply require a badge that lists basic information? By thinking through these considerations before making your purchase, you can ensure that your ID badge printer will meet all of the security needs of your specific facilities. This entry was posted on Thursday, February 11th, 2016 at 12:45 pm. Both comments and pings are currently closed.